If politicians around the world are to be believed, trillions of dollars can be saved by reducing or eliminating waste, fraud, and abuse in government. A few examples should suffice. Great Britain is facing a national election in early May. Conservative Party leader David Cameron is promising, if elected as prime minister, that his government will cut one percentage point off payroll tax, from 15 to 14 percent, for 70 percent of British employees. The cut, he said, will not increase the deficit because he has promised to find the necessary savings in greater government efficiency. To pay for his health care plan, President Barack Obama has promised nearly $500 billion in Medicare savings through greater efficiency. Meg Whitman, founder and former chief executive of Ebay, is running for governor of California (her likely opponent is former governor Jerry Brown). She has pledged, if elected, to reduce state government spending through efficiency savings. Efficiency savings, whether used to justify tax cuts or spending increases without increasing deficits, is the last refuge of political scoundrels. Arthur Lupia, a chaired professor of political science at the University of Michigan, has just released a commentary on the so-called “new voters,” who were trumpeted by the media as the cause of Obama's election. Lupia shows that Obama would have won the electoral college, and thus the election, without any of the more than ten million votes Obama received over John Kerry’s total four years earlier (assuming he retained Kerry voters). A minimum of seven out of every hundred Bush voters in Ohio failed to vote for McCain, which by itself would enable Obama to win Ohio without any new voters. The American National Election Studies 2008 analysis of over two thousand respondents disclosed that nearly one in four self-identified Bush voters did not vote for McCain. Fifteen percent voted for Obama and 7 percent stayed home, a shocking defection of 23.6 percent of 2004 Bush voters. Bringing new voters to the polls was a great achievement for Obama. However, they were not essential for his victory. Universal Health Care: One Giant Step for Mankind? First Lady Michelle Obama has made health care a central part of her portfolio. She is addressing the reduction and prevention of diabetes among children by encouraging healthy eating. This is a difficult, but admirable, effort. Even here in Silicon Valley, where middle- and upper-middle class parents are well educated, there is a visible epidemic of obesity among children and adults in malls, supermarkets, and restaurants. One Giant Step for Mankind can be broken down into many small steps for man. A good place to start is with reduced intake of salt, which medical professionals claim will lower the incidence of coronary disease. Use of salt can be quantified and the impact of reduced intake on rates of coronary disease assessed. Ross Perot talked about pilot projects to learn what works and what doesn’t. In this vein, a pilot project to reduce salt intake could be a valuable cost-saving exercise. Alas, this too is no easy task. Having spent Saturday morning shopping in Costco, I observed shopping baskets full of prepared food. A glance at nutrition labels reveals large amounts of salt and saturated fat. Salt and fat give food a delicious taste. Too, the shelves in Costco and supermarkets are laden with sugary items. Few shopping baskets consist of foodstuffs with minimal amounts of salt and saturated fat. Let’s commence a national effort to reduce salt intake, financed, if necessary, with federal funds. If we can’t accomplish this limited objective within a year or two, it should raise questions about whether other elements in the Health Care reform will succeed in changing behavior to reduce costs and achieve better health outcomes. Universal Health Care: Why Stop at the Border? Passage of Obamacare, even if it evolves no further, brings U.S. health insurance closer to the Canadian model of universal coverage (even if benefits in the U.S. will be reduced on an individual basis). NAFTA, the North American Free Trade Agreement, is an economic arrangement that enables freer trade between Canada, the U.S. and Mexico. Perhaps a NAFTA-like arrangement should be extended to health care by bringing Mexico into the ambit of universal health insurance. Admittedly Mexico cannot afford to provide the same level and quality of health care available in the U.S. and Canada. But it is conceptually difficult to say that individuals living north of a political boundary should have some minimum level of health insurance while those living just south should not. Isn’t the value of a human life the same regardless of its geographical location? Or, does universal health care apply only to those fortunate enough to live north of the Mexican border due to the chance of birth or having previously immigrated into the U.S. or Canada? Sure, sovereignty limits what can be done politically. Mexicans cannot vote in U.S. elections and vice-versa. But the question of who is deserving and who is not is worth considering. If the U.S. had seized Mexico the way it seized Texas, the southwest, California, and the northwest up to 49 degrees parallel, Obamacare would apply to current-day Mexican nationals. Medicare Part D, the prescription drug benefit entitlement that is largely funded from general revenue, was enacted in 2003 (the benefits began in 2006) under the watchful eye of President George W. Bush and Republican majorities in both houses of Congress. The net cost of the program during 2006-18 is estimated at $727 billion. Republican presidential wannabees typically make the rounds of “conservative” think tanks to embellish their credentials, sign up advisers, and glean ideas that might prove fruitful in their campaigns. Among these visits to the Hoover Institution was George Allen, former senator and governor of Virginia. I asked him why Republican senators voted for Medicare Part D, given their philosophy of limited government and that Part D was a new entitlement that entailed an increase in government spending. His answer? If we didn’t support it, Democrats would get credit for it. Republicans were in unanimous opposition to President Barack Obama’s expansion of health insurance as a new entitlement. The Congressional Budget Office estimated the cost at $940 billion for Obamacare during 2010-19, but which is “paid for” by a combination of new taxes and Medicare cuts and efficiencies. Republicans and some economists question CBO’s estimate as understating the cost of Obamacare. Still, there is no gainsaying that Democrats went through the motion, even if pretending, to achieve deficit neutrality. This effort can be compared with complete disregard on the budgetary impact of Part D on the part of President Bush and the Republican Congress in 2003. I’m not particularly enamored of Obamacare and greater federal control over health care, But, given its recent history, one can question the sincerity of the Republican Party’s commitment to controlling spending and deficits. What do the Following Countries’ Currencies Have in Common with China? The first list of countries and affiliated or dependent territories pegs its currencies to the U.S. dollar at a fixed exchange rate. In some, e.g., Bermuda, Bahamas, Cayman Islands, the U.S. dollar circulates alongside the official local currency. (Kuwait has oscillated between a currency basket and the U.S. dollar.) The second list uses the U.S. dollar as its official currency, but the local currency (e.g., Panama balboa) and local coins may circulate alongside the dollar. If the treasury secretary declares China an official currency manipulator, should he also declare all of them currency manipulators? Admittedly, China is much larger and its currency policy may have a larger impact on the U.S. economy and jobs. Still, principle is principle! P.S. China’s currency peg to the U.S. dollar means that the recent rise in the dollar-euro rate has resulted in substantial appreciation of the yuan (Chinese currency) against the euro. Europe was China’s largest export market in 2009. The U.S. government and many American economists are ratcheting up their criticism of China’s economic policies as the April 15 deadline approaches for the U.S. Treasury to stipulate if China is manipulating its currency. Currency manipulation involves China fixing its exchange rate at an undervalued rate to gain competitive advantage by making its goods cheaper for U.S. consumers, while raising prices of U.S. goods and services for Chinese consumers. Jobs are thereby created in China but lost in America. Other complaints include mistreatment of American companies in China (e.g., Google), violations of intellectual property rights, and so forth. China, for its part, complains about large U.S. budget deficits, the potential loss on its holdings of U.S. securities, and trade protectionism. Lecturing China on its economic policies is arrogant and misplaced. Beginning in 1982, when Deng Xiaoping “opened up” the economy, China has recorded 9-10 percent annual average real growth, lifting several hundred million people out of poverty. Prospects for continued high growth appear promising. In purchasing power parity terms, China has surpassed Germany and Japan to become the world’s second largest economy. China could catch or surpass the U.S. by 2020, although it will take several more decades to reach per capita levels of U.S. output and consumption. Given its success, Chinese policy makers must be doing something right. Meanwhile, the U.S. and Western countries are in the midst of trying to recover from their worst financial and economic crisis since the Great Depression. They are mired in debt, deficits, and high unemployment, which China has managed to avoid. Conservatives use the phrase “free market economics” to mean private competition in the marketplace, under the rule of law, as the basis of good economic policy. In the case of the health care policy debate, “free market” terminology turned out to be a toxic asset. rising insurance premiums for individuals. “Free market” was the wrong phrase at the wrong time in the wrong place to defeat Obamacare. Although economists in universities and think tanks published studies offering better, market-oriented ways to improve access and reduce costs, including tort reform, interstate competition, health savings accounts, and deductibility of premiums for self-employed persons, these analyses failed to carry the day. Those responsible for enforcing the rules of market competition during the Bush years failed to do their job, helping discredit proponents of “free market” approaches to health care. Might the same happen in the arenas of financial reform, education reform, and renewable energy alternatives? Might liberals celebrate more victories before the year is over? Current political wisdom, based on public opinion polls, town hall meetings, tea party protests, and the historical fact that the minority party usually picks up seats in the off-year elections, holds that a considerable number of Democrats will lose their seats in the November mid-term elections because they voted “yes” on Obamacare. But this view may be wrong. Here’s why. The state of the economy is likely to be the most important factor in voters’ minds. The bulk of the stimulus money (excluding the tax cut component) has yet to be spent. The Federal Reserve Board is expected to maintain easy money throughout 2010. The president can allocate revolving TARP funds where they will most help Democrats. These sources of money will reinforce the upturn in the business cycle following the recession. The economic situation will look better in the fall than it has been since Obama took office. If Republicans run on a platform of repealing Obamacare, Democrats will frighten voters that Republicans want to repeal or weaken Obamacare as a first step towards weakening and then dismantling Medicare and Social Security. Democrats will recycle the politically effective video in which former speaker Newt Gingrich stated that “Medicare will wither on the vine,” even though his statement was taken out of context. Another factor is the president’s push for immigration reform. This effort will appeal to Hispanic voters as fellow undocumented Hispanics begin to see a light at the end of the tunnel for a path to legality and citizenship. If Iraq remains reasonably stable for the next few months, Obama will bring 50,000 troops home by Labor Day, giving Democrats another boost. On March 23, 2010, Intrade puts Democrat control of the Senate at 74 percent and Democrat control of the House of Representatives at 54.5 percent. I expect the latter number to rise as the economy improves over the spring and summer and troops beginning to return home from Iraq. On March 18, 2010, Intrade, the on-line betting marketplace, puts enactment of Obamacare by June 30 at more than 70 percent. The odds on Obamacare have fluctuated between 30-77 percent during March. Should it happen, Obamacare will be a huge political victory for him and the Democrat Congressional leadership. The pundits (journalists, bloggers, tweeters, radio commentators, television talking heads, etc. ), who put passage at less than half during the past six months, will have greatly underestimated President Obama. Economists in university departments and think tanks who produced studies to show that Obamacare will fail to contain future cost increases, instead recommending market based solutions to improve health care and lower costs, will have lost to scholars in rival departments and think tanks supporting Obamacare. In addition to transforming medical care and insurance in the United States, Obamacare will also transform politics. Any candidate who attacks Obamacare in the future will be accused of wanting to take health care away from Americans, followed by Medicare and Social Security. Obamacare will extend health insurance to 31 million of the country’s 46 million uninsured. In September 2009, the U.S. Census Bureau put the number of uninsured Hispanics at 14.6 million. Obamacare will provide low-and middle-income resident Hispanics households with subsidies to purchase health insurance. The Pew Hispanic Center, using census data, estimated that 11.9 million illegal immigrants, largely from Latin America, are in the United States, of whom 6.8 million do not have health insurance. A new push for immigration reform, including amnesty, would extend Obamacare to millions as they become citizens. Hispanics, blacks, and Jews would reassemble in the coalition that elected Franklin Delano Roosevelt four times and gave Democrats Congressional majorities for decades. 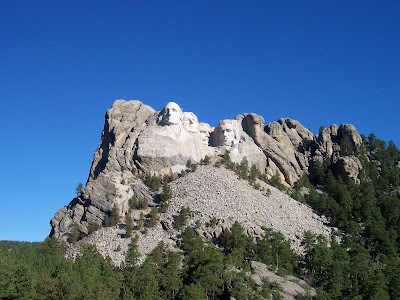 As is readily visible, there is space to the left of George Washington and the right of Abraham Lincoln for a new face to be carved on Mount Rushmore. Passage of Obamacare is likely to result in growing political support for President Obama's face to be added to the distinguished quartet carved into the mountain. Many members in the House of Representatives have invested considerable time, effort, and money in obtaining their seats. A career path might include as many as six rungs in the ladder of electoral politics—local school board, city council, county commissioner, state house, state senate, and, finally, the U.S. House of Representatives. It’s not easy to throw all that away to vote for a questionable bill in the face of constituent opposition. The digital revolution is rapidly transforming communication. The printed media is steadily losing ground to the internet. Lead editorial writers in the few remaining profitable newspapers face relentless pressure from web postings, blogs, tweets, and social networking. Perhaps the editorial writers of the Financial Times should do the right thing and make the same sacrifice they ask of Democrat members of Congress. To be crystal clear, they should resign their jobs, give up their salaries and benefits, and try earning a living freelancing in the blogosphere. TARP, the Troubled Asset Relief Program, was signed into law by President George W. Bush on October 3, 2008, to deal with the financial crisis. TARP allows the U.S. Department of the Treasury to purchase or insure up to $700 billion in “troubled” or “toxic” assets, defined as any securities or obligations based on or related to mortgages, and any other financial instrument that the Secretary, after consultation with the Chairman of the Board of Governors of the Federal Reserve System, determines is necessary to promote financial market stability. TARP is a “revolving purchase facility,” like a revolving loan fund, so that funds received by the Treasury when it sells previously purchased troubled assets go back into the pool to facilitate the purchase of more assets. Subsequent amendments to TARP enable the president personally to spend money on any program he deems necessary to avert a financial crisis, which President Bush used to support the auto industry. TARP funds were chiefly used to purchase bank equity shares and shares of AIG. Bad loans and securities are only one form of toxic asset. Labor is a much larger component of the economy than financial instruments. Indeed, dead wood in the labor force is probably the largest troubled asset in the economy. A better use of TARP would be to retire labor force participants whose value added is less than the value of their marginal output, thereby reducing value subtraction in the economy. Ditto for the public school systems of central cities, tertiary institutions, government bureaucracies, etc. There is growing concern in business, financial, academic, and political circles that trillion dollar deficits for the next decade will cause inflation. To accommodate inflation, the Federal Reserve Board can literally print money using its high speed intaglio presses or credit the accounts of banks through the purchase of securities, and so forth. Whereas $20 bills were sufficient to buy a bag of groceries some years ago, $50 and $100 bills are increasingly needed to avoid filling wallets and purses with bundles of paper money. High denomination bills were last printed in 1945, but allowed to remain in circulation until 1969, when they were officially discontinued by Executive Order of President Richard Nixon to combat organized crime. By law, the Treasury retains the legal authority to request the Fed to print higher denomination notes and place them in circulation. At some point, the Fed may find it appropriate to resume printing of $500 and $1000 bills to make cash purchases easier. If and when that time comes, the U.S. will be on its way to becoming a banana republic. Graphic artists should redesign the high denomination bills to reflect that reality. An explicit example is the $10 unnumbered note printed for use in Japanese-occupied Malaya during World War II. It displays a banana tree on the obverse (front) side. Currency exchange rates are much in the news these days, with concerns over the stability of the euro (given the fiscal problems in Greece, Spain, Portugal, Italy, and Ireland) and the pound in the United Kingdom. The euro came into being in 1999 as a virtual currency with euro notes and coins placed in circulation in 2002. Sixteen European countries are members of the eurozone. Monaco, San Marino, and Vatican City use the notes by monetary agreement, and Andorra, Montenegro, and Kosovo on a unilateral basis. As of January 2010, €783.5 billion were in circulation. Of the seven denominations (5, 10, 20, 50, 100, 200, and 500), large notes of €100 and above constituted 58.9 percent of the value of banknotes in circulation. The European Commission estimated that 10-20 percent of euro notes circulated outside the zone, of which some circulate in the six affiliated jurisdictions. As of January 2010, $860 billion of U.S. notes were in circulation, of which $100 notes made up 79.5 percent of the total value. Recent estimates of dollars circulating offshore range between 30-37 percent. A relatively small amount circulates in countries which use the dollar as legal tender: Ecuador, Panama, El Salvador, and East Timor. Several independent Pacific Island jurisdictions use the dollar along with two British Caribbean territories. As a medium of exchange outside the respective dollar and euro zones, the dollar is still the preferred currency. This despite the fact that a €500 note is worth $675, making it easier to use euros to carry large amounts of cash (legally or illegally). U.S. taxpayers and foreign persons subject to U.S. taxation owe, but do not remit (or the IRS fails to collect), some $400 billion in annual taxes owed to the federal government. This number is based on an IRS estimate for tax year 2001, an estimate of the international tax gap, and an update due to population and income growth. In the context of current trillion dollar deficits, $400 billion may seem a modest figure. If the tax gap had been plugged during the last 20 years, the U.S. budget would have routinely been in surplus. There would be little to no public debt (assuming the Congress did not spend the additional revenues). Even now, with $10 trillion in projected deficits over the next decade, eliminating most or all of the tax gap would slash that number by $3-4 trillion, no small amount. Why does the tax gap remain so large in spite of beefed-up enforcement efforts at the IRS. The answer is twofold. First, the complexity of the tax code enables tax lawyers and planners to devise tax avoidance schemes, which are perfectly legal until the law catches up with these measures and disallows them. Second, is high rates of taxation, which encourage cheating. For three years in the early 1980s, I served on the American Bar Association Commission on Taxpayer Compliance. Its report analyzed every conceivable reason for tax avoidance and evasion that contributed to the tax gap. The commission concluded that the most serious cause of the tax gap was high marginal rates of taxation. Given this finding, the tax gap is likely to grow, not diminish. The expiration of the Bush tax cuts on December 31, 2010, means a rise in marginal tax rates from 33 and 35 percent to 36 and 39.6 percent respectively. This rise will increase the incentive to avoid or evade taxes. So too will increases in capital income tax rates (dividends, interest, and capital gains). Failure to take this propensity into account means that some portion of the estimated additional revenue from higher rates of tax in 2011 and beyond will disappear into the black hole of the tax gap. Watch and see. On February 6, 2009, just a few weeks after his inauguration as president, Barack Obama issued an Executive Order establishing the President’s Economic Recovery Advisory Board (PERAB). Paul Volcker, one of America’s most distinguished public servants, was appointed chairman, Council of Economic Affairs member Austan Goolsbee staff director, along with fifteen distinguished individuals from academia, business, and finance. The commission held six public meetings in which testimony was presented. It received and posted hundreds of comments. Its findings were to be submitted to the president by December 4, 2009. The Commission stated that due to the heavy volume of submissions it required additional time to review the material, and expected to deliver its report shortly after the Christmas/New Year holidays. That date came and went. No new date for delivery has been posted on PERAB’s web site nor have any further meetings been held or scheduled since December 4, 2009. The president issued another Executive Order on February 18, 2010, establishing The National Commission on Fiscal Responsibility and Reform. Its creation means that the Volcker Commission will likely cease its activities. The moral of this story is beware of presidents establishing tax reform commissions. As of early March 2010, it appears likely that the Senate bill which passed on Christmas Eve 2009 will be approved in the House of Representatives and signed into law by President Obama. Subsequent reconciliation modifying the bill to meet objections of House members may or may not succeed. But the Senate bill is so far reaching that House modifications would not reduce in any meaningful way the federal government’s future control over health insurance and delivery of health care services. How did this come to be? In November 2008, voters rebelled against Republican Members of Congress and President George W. Bush, having previously rebelled against Republicans in the November 2006 mid-term elections, handing control of both houses of Congress to Democrats. Republican losses in 2006 were largely due to six years of spend-and-spend. President Bush did not veto a single spending bill during 2001-06, even the bill with the "bridge to nowhere." They also enacted the largely unfunded Medicare Part D prescription drug benefit entitlement. Republicans under Bush turned several years of budget surpluses under Clinton into a string of endless deficits. Democrat gains in the November 2008 elections were astonishing, well beyond the predictions of pundits, pollsters, politicians, and political scientists. Democrats won very close races in Montana (Jon Tester), Missouri (Claire McCaskill), Virginia (Jim Webb), New Jersey (Bob Menendez), Rhode Island (Lincoln Chafee), and Minnesota (Al Franken). Altogether Democrats won 59 seats (Lieberman caucuses with Democrats, raising the total to 60). Sixty is exactly the number needed for cloture to shut off filibusters and bring bills to the floor of the Senate for a vote that only requires 51 "ayes" for passage. Republicans have only themselves to blame for Democrat control of the White House, a large majority in the House of Representatives, and a filibuster-proof majority in the Senate. Republicans laid the foundation for Democrat governance, and passage of Medicare Part D removed a large measure of legitimacy required to successfully oppose Obama-Care. It is in this regard that Obama-Care can be said to be bipartisan. If Obama-Care in any form becomes law, stay tuned for an analysis of new and higher taxes. Wyden-Gregg Tax Reform Plan: Pseudo Reform? Benjamin Franklin is reputed to have said that "The only things certain in life are death and taxes." A third is periodic proposals for tax reform, of which the latest is that of Senators Democrat Ron Wyden (Oregon) and outgoing Republican Judd Gregg (New Hampshire). Its key features include replacing the current six tax brackets (10, 15, 25, 28, 33, 35 percent) with three (15, 25, and 35 percent), tripling the standard deductions while eliminating others, reducing the corporate tax rate to 24 percent and allowing small businesses to expense investment, among others. Even were it to pass, for how long would the Wyden-Gregg reform endure? President Reagan’s second term signature achievement was the Tax Reform Act of 1986, which resulted in two rates, 15 and 28 percent, the fewest number in the history of the federal income tax. Reagan’s Republican successor, George H. W. Bush signed into law an additional 31 percent rate in 1990. President Clinton claimed credit for adding two more rates of 36 and 39.6 percent in 1993. Although President George H. Bush lowered rates across-the board, he did not reduce the number of rates or simplify the tax code. History suggests that three rates lack stability and durability. Demagoging politicians will rush to propose additional higher rates on the "rich" within a few short years, while restoring former deductions or granting new ones.